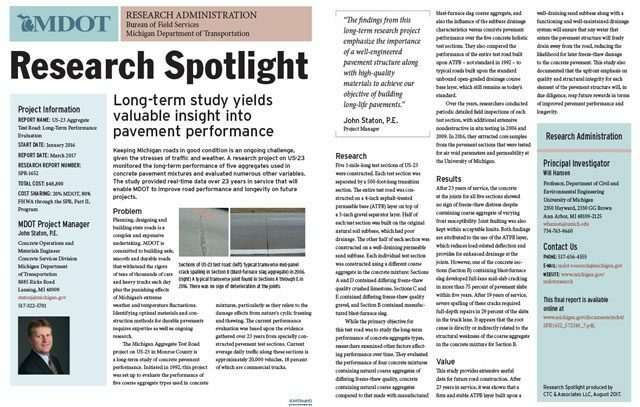 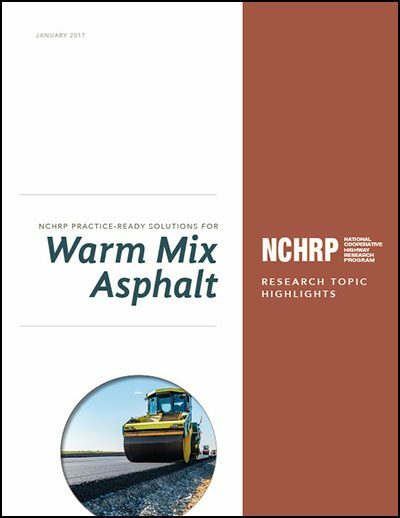 CTC & Associates produces two-page Research Spotlights for Michigan DOT to provide brief, easy-to-read, technically accurate summaries of research projects. 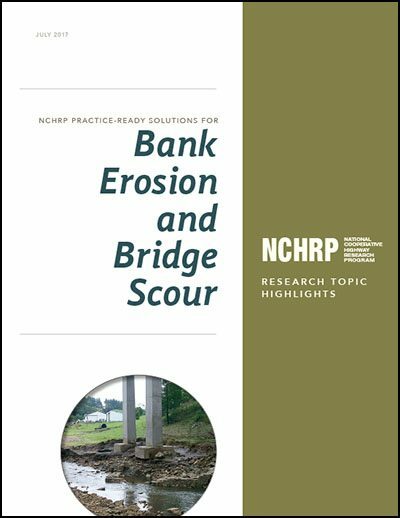 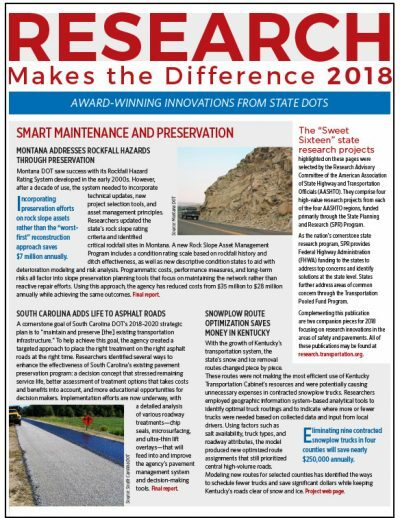 Spotlights draw on the insights of the investigator and MDOT project manager to convey the significance of the research to MDOT staff, local agencies, academic partners, and contractors and consulting engineers. 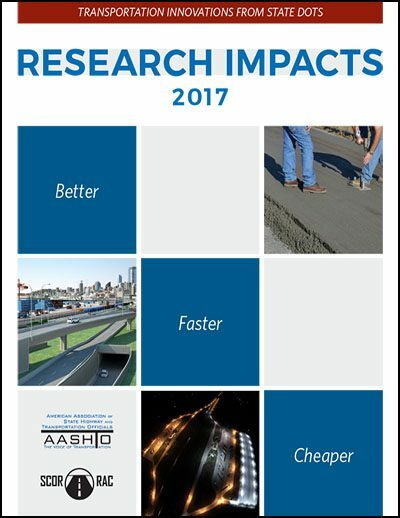 The Spotlight tells the story of the problem the research addressed, the design of the study, the value of the research findings, the researchers’ recommendations, and – most importantly – how the department will use the research to improve the Michigan transportation system.